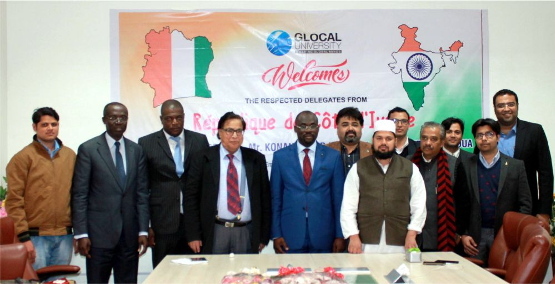 Dr. Yao Bertin Kouassi director of scholarship and training, Mr. Konan Roger Kuaku head of mentoring and employment integration section and Mr. Yeo Donapoho Technical counselor visited the Glocal University campus to get in touch with students from Ivory Cost. 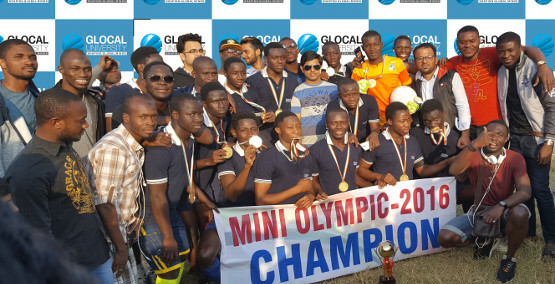 The 2016 Mini Olympic Soccer Tournament took place over the week of November 11th /17th. 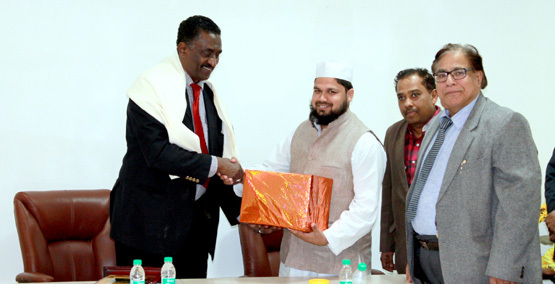 An event hosted at the Islamic stadium of Saharanpur, UP. 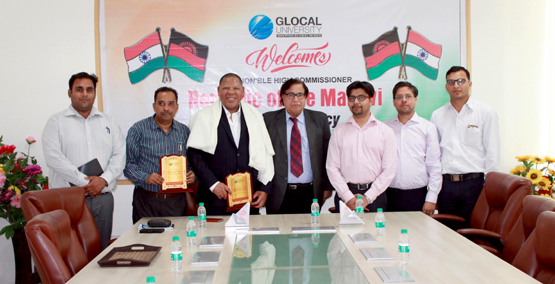 Dr. Mbuya Isaac G. Munlo, Malawi High Commissioner to India, visited at our Glocal University on 22nd April 2016. 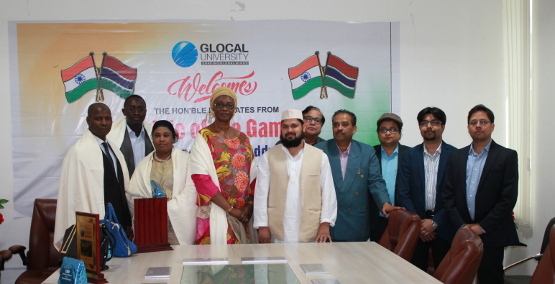 Mrs. Haddy Badjie (Spouse of Gambia Ambassador), Mr. Sankang Fofana (Education Attache) and Mr. Jabi Manneh from republic of Gambia embassy visited our Glocal University campus on 6th March, 2016. 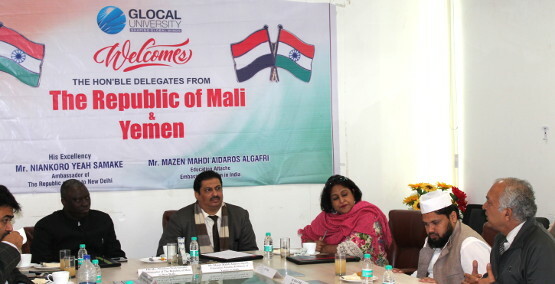 Sudan(s) Minister visit at the Glocal University. 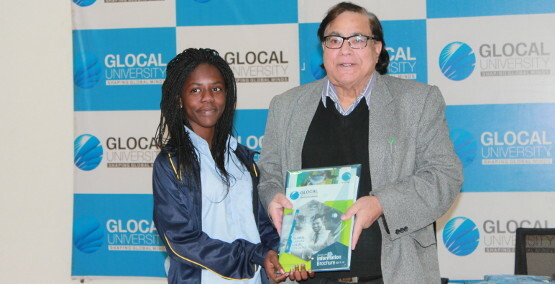 Glocal University has opened the doors of higher studies for International students. 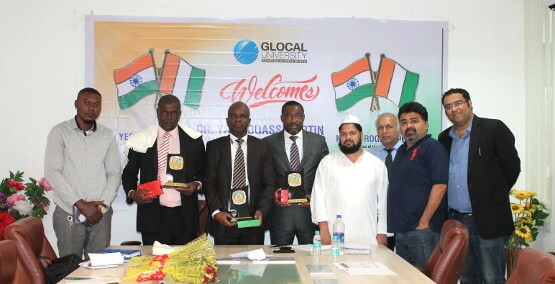 A conglomerate of delegates from The Republic of Ivory Coast a nation in African continent have inspected Glocal University and sent their students to be a part of Glocal for higher studies and achieve success.